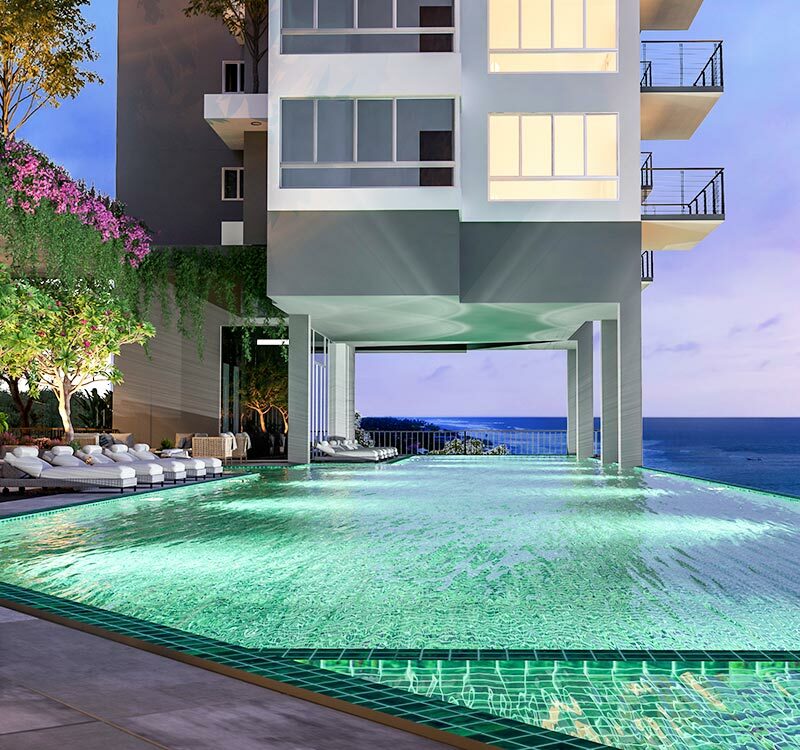 The apartments of Elysian Mirissa boast a range of cutting-edge facilities that will truly deliver unprecedented luxury and convenience in a gorgeous coastal setting. Wellness enthusiasts will be delighted to discover a spa, yoga pavilion, meditation garden and a sauna. Fitness focused individuals can command a rooftop infinity pool as well as a comprehensively equipped gym. Younger guests also have a variety of entertainment options, such as a game room, and two separate children’s play-areas. To ensure that guests experience the utmost convenience, there’s a conference room as well as laundry facilities. Residents who enjoy losing themselves in a world of imagination will have a library at their disposal, as well as walking trails to discover inner peace. The rooftop restaurant of Elysian Mirissa will definitely be remarkable even among the top service apartments in Sri Lanka, where guests can enjoy modern dining amidst spectacular coastal views. The magnificence of Mirissa has never been this luxurious.